"Thinking of Buying or Selling a home? Tom is a "Top Notch" agent. I HIGHLY recommend him to anyone! We first met Tom when he was the site agent for the purchase of our dream home. 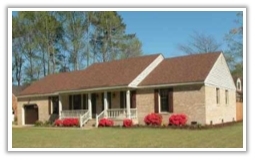 His creativity and knowledge of Finance helped us to purchase this dream home and quickly sell our previous one. We enjoyed his service and professionalism so much that we have used him to buy and sell several other properties. Through all 6 transactions that we’ve had with him, he has provided compassionate andprofessional service that has made him a pleasure to work with and to call a friend. "When I listed the house on a Friday evening and it sold on Monday afternoon, I knew I had made the right choice in a realtor! With the tips Tom gave me to make the house look the best and pricing it correctly, it made for a listing to appeal for folks. Tom was always just a quick phone call away (even when on vacation). After the house sold, Tom came and helped me take things or for my yard sale- now that is service above and beyond the call of duty! On the day the movers came for my cross-country move, Tom drove over to make sure everything was going OK. Thanks for all your work, Tom. You should be proud of the excellent service you give your clients." 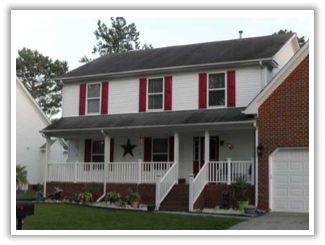 "Tom is a great asset to have when considering purchasing a home. He can really be counted on to make your home buying experience go as smooth as possible and communicate in a timely fashion (even on weekends!). "I really appreciated how Tom took the time to explain every step of the process both before getting started and as we proceeded. I will absolutely do business with Tom again in the future when purchasing investment properties and highly recommend him to anyone thinking about buying or selling!" We first met Tom when we bought our first home in 2005. 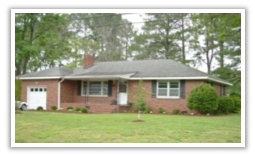 Tom represented the seller, and the first thing that we noticed about Tom was his professionalism. We were even more impressed when Tom stopped by a few weeks after we had moved to see how we were settling in. When the time came in 2008 for us to move to a bigger home, there was no doubt in our minds that we wanted to work with Tom. Tom made what should have been a very stressful life change an extremely enjoyable process! Tom´s demonstrated knowledge of real estate, construction, and strong financial background (he is a Certified Public Accountant), immediately put us at ease. Tom quickly gained our complete confidence and trust in his abilities. Tom is extremely thorough, detail-oriented, and patient! He always listened attentively to ensure that our needs were met and he was a great advocate for us. Tom´s cheerful demeanor and humor made us look forward to each meeting (even going through the monotonous paperwork!). Tom continually went above and beyond for us to make selling our house and finding a new one essentially stress free. He did things for us that he had absolutely no obligation to do. For example, knowing that we had a tight budget and were not handy with home repairs, Tom fixed an area of our kitchen wall (this involved at least two trips to the house). Having a small child, Tom was extremely accommodating and often would meet with us at our home at night after our son was asleep. Tom willingly did research for us regarding school districts to ensure that we had accurate information to help us make important decisions. Tom was always accessible; he returned phone calls and e-mails very quickly (even late night). Tom is the model of professionalism...his integrity, work ethic, and knowledge are second to no one´s. We clearly have a great amount of respect and admiration for Tom. 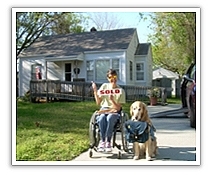 Not only did we get the house we´d always wanted, but we also made a great friend! " "Tom has an ability to readily identify the character traits of those around him, and adapt his teaching, mentoring, or explanations in a way that others can learn and understand. Tom has the ability to take a complex matter and break it down into simple language for better understanding. He has always been patient with my barrage of questions. When I did not understand the initial explanation, he could re-explain it in a different way, rather than repeating the same clarification. "Tom is definitely a people person with a task oriented personality. He has helped me set goals and achieve them." 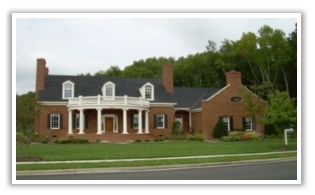 "Tom was the listing agent on our first home purchase a few years ago. He did such a good job that He has kept in touch with us and also helped my brother and sister-in-law. Tom has been a pleasure to work with. We hope to keep in touch with him and have no problems recommending him to others. THANKS!" “There are so many things that I would like to write about my experience with Tom. Five years ago, when I was single I bought my first home. A friend had referred me to him and told me he was amazing at what he did. The experience was something I have never forgotten. We had such a good time looking at properties together, we even became good friends. A few years passed and I have a family now. My husband and I started dreaming of owning a home that we could call "ours." Naturally we called Tom to help us make our dream a reality. Before we started looking at properties, Tom worked with me on several occasions sharing information and educating me on what the mortgage companies were going to be looking for. He even went as far as recommending a few mortgage brokers to look into that had different styles of approach towards financing. My husband and I gave Tom a list of the important things we wanted in a house. A safe neighborhood, good schools, number of bedrooms, etc... Tom was able to filter out all of our requirements and we found a beautiful house that was "practically perfect in every way" for us. An example of his service was when I found a notice on the internet putting the house up for auction three days later. I notified Tom (at 10 at night) who notified their real estate agent of the situation. The agent representing the sellers thought everything was well documented and thought the seller's lawyers disclosed everything. The next day, the sellers’ bank was notified that a contract was on the house and was able to stop the foreclosure auction. When we cleared those hurdles, then my husband and I started having problems with our lender. Once we resolved those issues with them, we started facing challenges with the sellers’ bank. The closing was delayed two weeks due to lender issues. 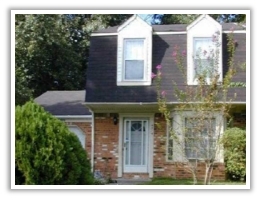 Tom had recommended a title company that worked very hard to help us finally close on our home. I was basically on the phone with Tom every day while all of this was going on, devising a plan to overcome each hurdle as it came. If plan A didn't work, try plan B! !